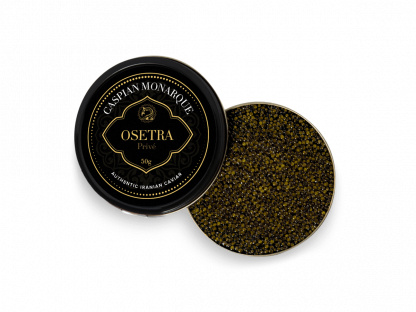 For this speciality from the Caspian Monarque range, our Osetra sturgeons are the deepest water dwellers of the Caspian Sea. 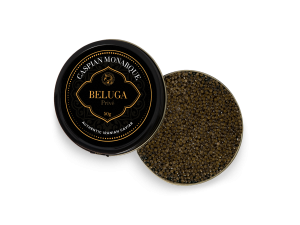 This selection is an evocative and otherworldly experience, with a flavor combination that captures essences of both premiere beluga and the youth of Sevruga. The marriage of youth and maturity is what so often makes for a taste that is truly exceptional. 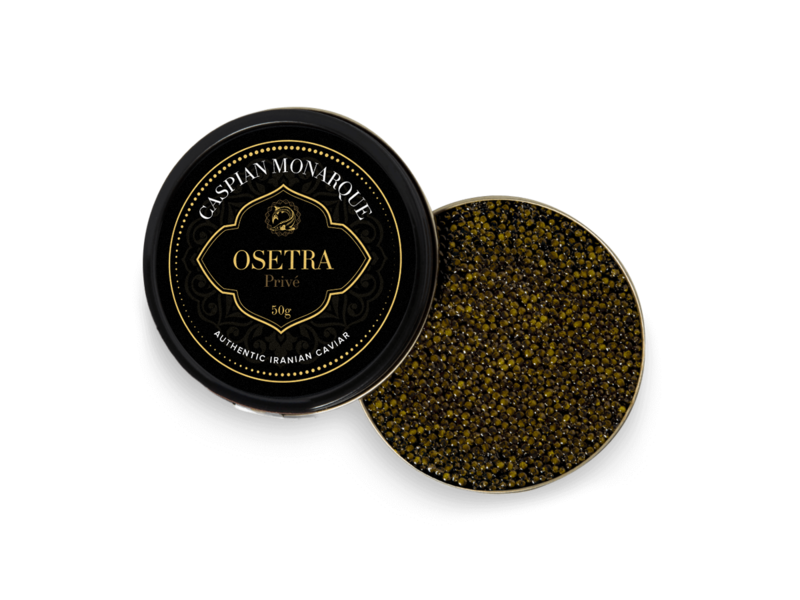 Decidedly fresh, like a burst of air felt when walking along a seaside promenade, pierced intimately with distinct Autumnal sensations, like a seasonal nut roast to warm the soul of a chilly day, our Mariana Reserve is a thing of true beauty, with a firm yet seductively soft texture and potent yet harmonious aroma. 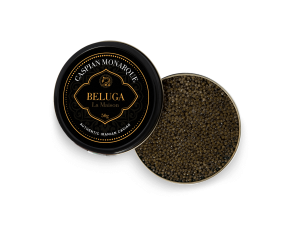 Experience a coterie of sublime texture, unique aroma and rich nuanced flavors in this our La Maison Beluga Reserve.